I'm sometimes asked for them by people without pierced ears. 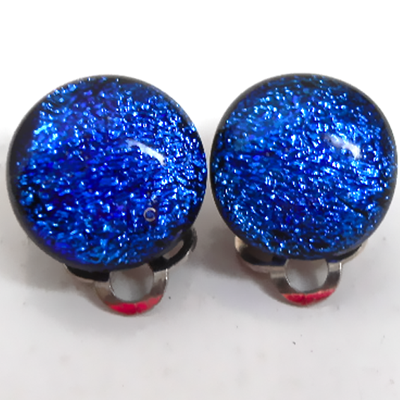 Bright blue sparkly Dichroic glass clip on stud earrings. 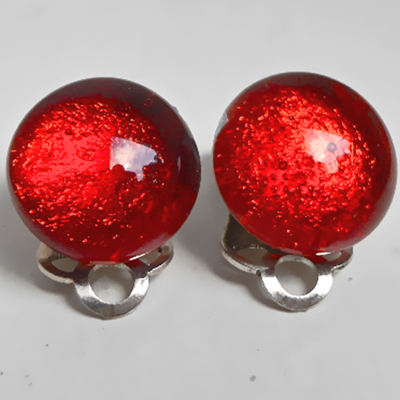 Bright Red Dichroic glass round stud earrings. 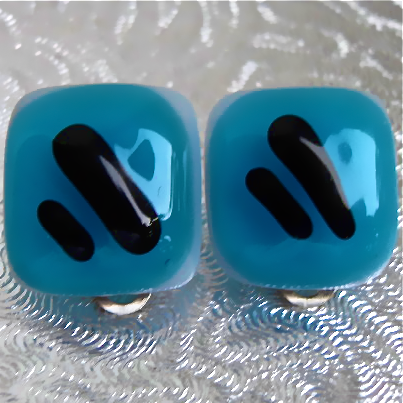 These clip on earrings are Turquoise with Black accents on a White base. 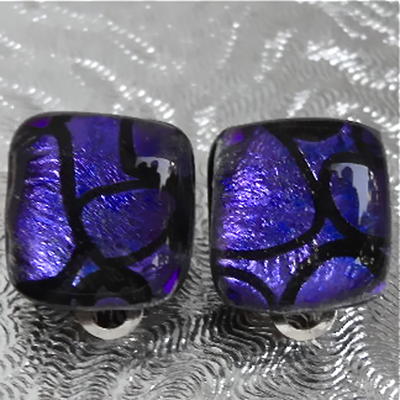 Purple/Black patterned Dichroic glass square stud earrings.